We are proud of talking again about our collaboration with the artist Anita Bjørbekk. 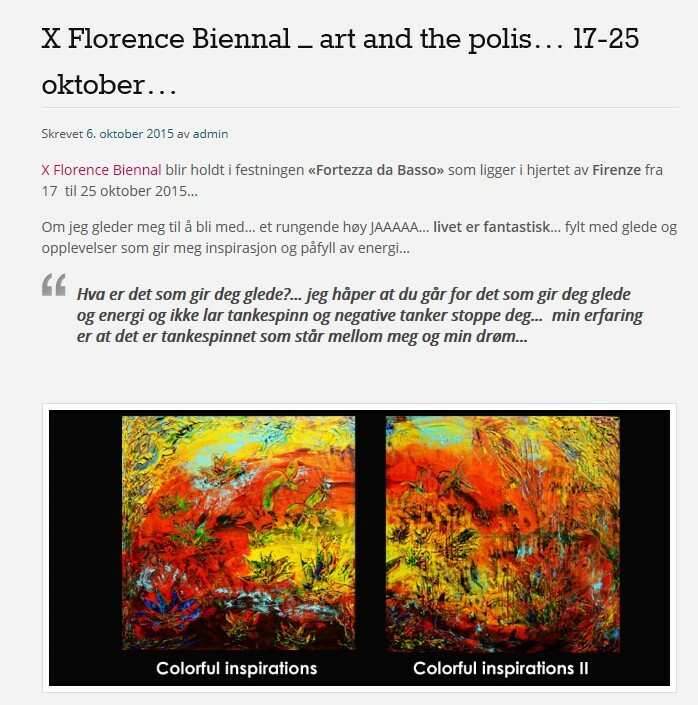 After Art Monaco and Galleria Farini event, we followed and supported her for X Florence Biennale Edition, from 17 to 25 October 2015. 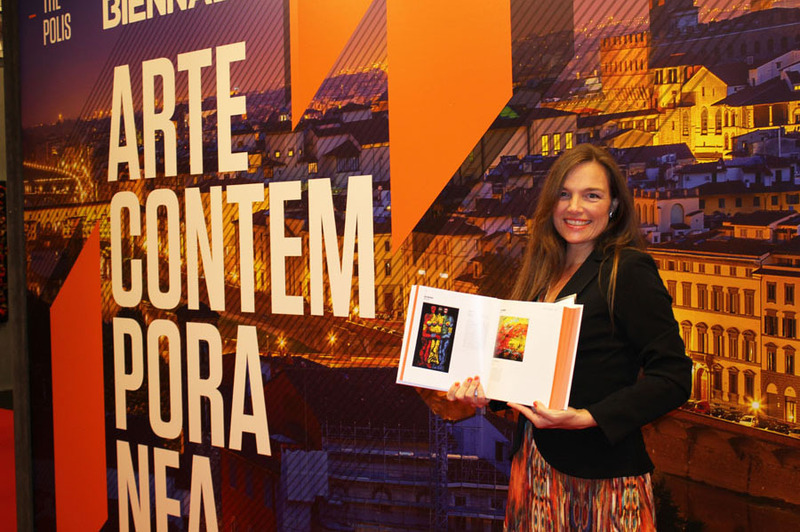 She was one of 400 worldwide artists that took part to this great Biennal event, exhibiting 2 of her colourfull paintings.